See that beautiful yellow transparent apple tree over the shed, shading our kids as they play? We almost chopped it down the year we bought our house. That was 20+years and un-countable pies and cans of applesauce ago. We had this large tree right smack where our driveway ought to be, and it didn’t even bear fruit. An elderly couple stopped by and asked if they could continue getting fruit from the tree. Observing our baffled looks, they explained that we had a unique tree in our yard. It was the yellow transparent apple tree and bore fruit every other year. It was the key ingredient in applesauce such as you have never tasted before. That tree inspired us to chop, peel, and puree and even inspired this high-powered applesauce gadget. When winter winds trapped us indoors, we could pull a frozen pie out and pop it in the oven. The aroma and slightly bitter taste brought back memories of blue skies and picnics up in the branches of this beautiful flowering treasure. Two years ago we came home from a trip to my mother-in-law’s and discovered that the tree was so heavy with fruit that a giant limb fell. It was a sad moment for all. But time went on, and the tree still showered us with enough fruit to keep us super-busy at canning time. That tree gifted us right to the end. It blew down in the sweet-scented pile of its own blossoms. While it could have hit cars, the neighbor’s house, our house and/or our shed with kayak and canoe on top, it didn’t. It slightly scraped the neighbor’s house (and she didn’t care at all, bless her heart), and fell without damaging anything. I took pictures just in case we needed records of this in the future then put my phone away and moved on with life. Later in the day, my phone chirped, telling me it put together a Life Events reel. I giggled a little at the dramatic impact music the device threw upon the saga of our fallen tree. But as I reflect, I do believe the phone was right. It was a life event. That tree gave us food and beauty, drew us closer to neighbors, gave our kids a hangout spot when they were younger, shaded our yard, and it will now provide warmth for my husband’s studio this winter. Thanks, tree. Three Songs – My Favorites – What are Yours? That’s today’s assignment. As a music-lover this should be easy-breezy right? Bet you thought I would say it was difficult! But actually, it was pretty easy for me. I have eclectic taste in music. I enjoy the Disney channel on Pandora as much as I love Ella Fitzgerald, Elvis, Broadway tunes, Skrillex, Aerosmith, Rachmaninov and Pavarotti. But I still know my three. Back when I was a little one, my mother played this while I played with my toys. Watching her hands fly across the keyboard was a true delight. When I was nine we went to Norway, and I got to see Grieg’s studio overlooking the fjord. It tugged at the very root of my Nordic ancestral soul. When I was in seventh or eighth grade (I can’t remember which), I was able to play this in a school performance, and my best friend played it at my wedding. She loved it so much, she had it at her wedding, too. This one’s a bit hokey, but that’s part of why I love it so much. My in-law’s have some cabins at a little tiny church campground. My mother-in-law has been going there for over 80 years. For ten days every summer, a group of families gather for worship, singing, games and general relaxation. Our tabernacle is a building in the center of the campgrounds, and the sides of the building are propped open when the weather is nice. At night when we gather, we are generally tired from doing crafts and classes in the morning, walking through the woods and swimming at Little Falls where we also hunt for crawfish. We sing together, and often wind up belting out a hearty off-key rendition of this song. Although tired, we leave this place to have ice cream and yak with our friends. It ain’t fancy, but that little tabernacle in the camp is a haven for my family and me. This will hopefully be played a my funeral someday. Let me be frank. I want no pomp and circumstance when I go. I’m cool with taking the next step in my journey and look forward to heaven. I don’t need a tombstone, and I don’t want people to spend $ they don’t have for travel unless they really feel they need to. That said, if I could plan my own ideal send-off, it would be aweseome if my loved ones had an all-night party, celebrating life. Goodbyes are important, I know. So tossing my ashes into some body of water as the sun rises and this song plays would, imho, be the perfect way to part. The rising sun symbolizing a new beginning for my loved ones in a world without me, and for myself as I embrace paradise. If you had to name your three favorite songs, what would they be? The other day I woke up with a VeggieTales song stuck in my head. Since my kids are 15+, this is not a common event anymore. It was a great way to wake up, though, and reminded me of one of my favorite interviews. A year or so later, he allowed Hudi to interview him (Hudi’s first official interview). Really great guy. Another reminder that a little kindness can make a great impact on others. Winter is Coming. 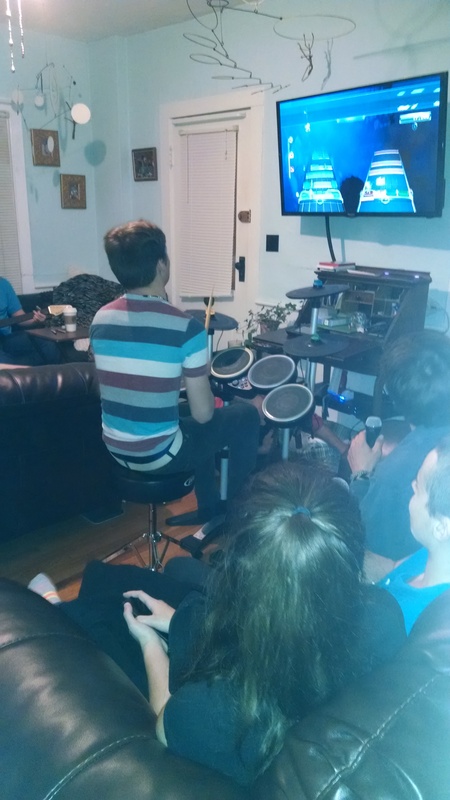 Back to Rock Band! One of our favorite winter pastimes. 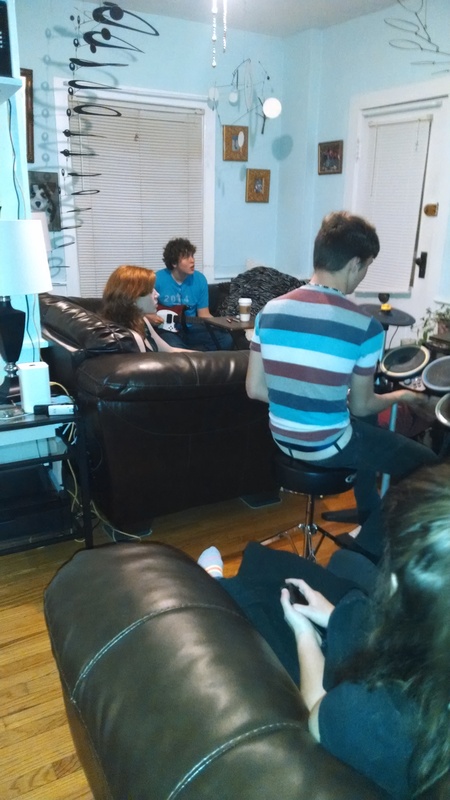 Nothing like a night of Rock Band with the kids. 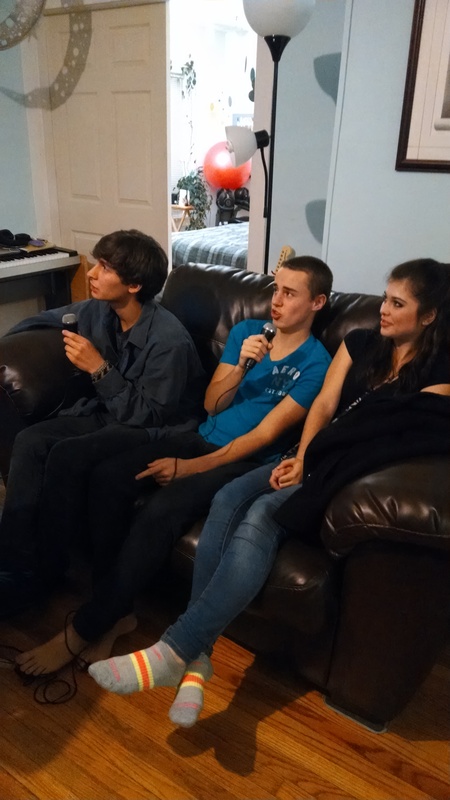 Gotta tell you, we can do the Bohemian Rhapsody like pros!